Spread across 61 acres, the Avion Burbank business park will have nine two-story office buildings, six light-industrial structures, two retail buildings, and a 150-key hotel. The massive project by Overton Moore Properties got the green light from the Burbank City Council, with construction expected to begin in the fall, according to the Burbank Leader. The 18-structure development will rise near the Hollywood Burbank Airport, continuing what has been an active period for investment in Burbank. Overton Moore purchased the property at 3001 N. Hollywood Way from the Burbank-Glendale-Pasadena Airport Authority in 2015 for $72.5 million. It was the last local parcel owned by Lockheed Martin. The airport authority is planning to build a new 14-gate terminal next to the future business park. Gardena-based Overton Moore also recently sold a large industrial development site in San Gabriel Valley for $32 million. Burbank has seen other substantial investment activity in office and industrial real estate in the past year. 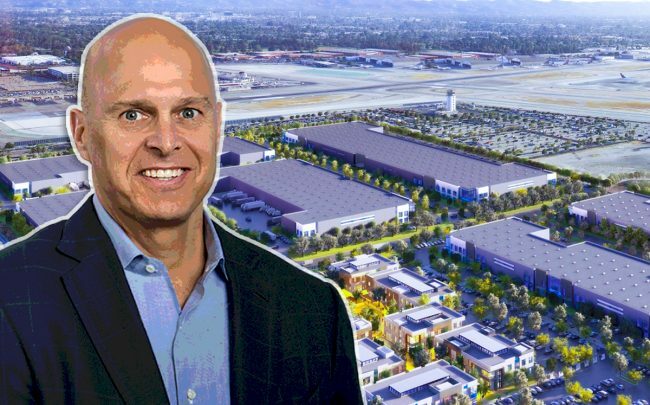 Last August, BKM Capital Partners purchased a 302,000-square-foot industrial park at the Backlot Burbank campus near the airport for $85 million. It was one of the largest investment sales of 2018 in Los Angeles County. $152M in industrial sales closed last week. Here’s what traded.